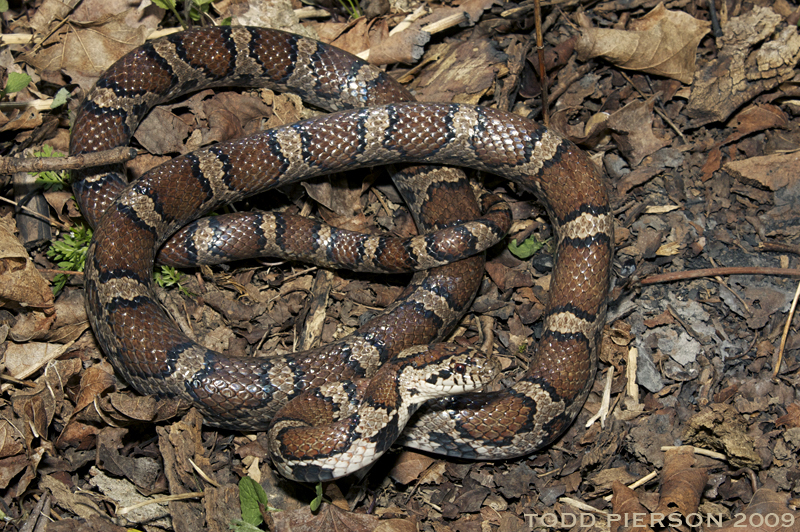 Can you confirm these amateur observations of Lampropeltis triangulum? 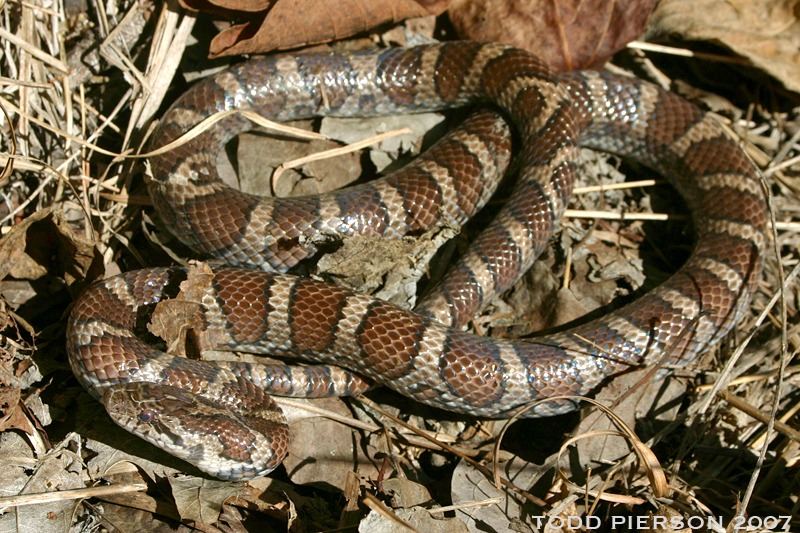 Coronella eximia — JAN 1866 ? Reproduction oviparous. 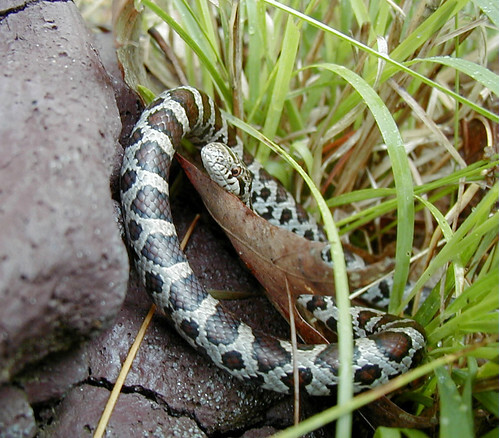 KREUTZ (2005) reports hybrids between E. guttata and Lampropeltis getulus californiae, between E. guttata and L. pyromelana, and between E. guttata and L. triangulum sinaloae/nelsoni! Comment Synonymy after PETERS & OREJAS-MIRANDA 170, WILLIAMS 14, and RUANE et al. 2014. Nomenclature: LACÉPÈDE’s name conserved through ICZN opinion 1463. 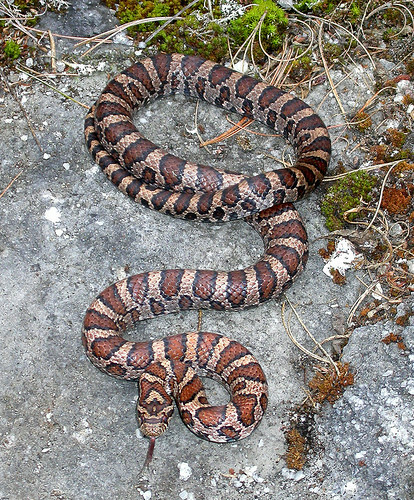 Mimicry: Lampropeltis triangulum mimicks Micrurus bernadi, M. limbatus and M. diastema (TORRE-LORANCA et al. 2006). Etymology The name triangulum is derived from the Latin meaning "triangle," in reference to the shape of the anterior edge of the first blotch. Grogan, W. L., Jr. and D. C. Forester 1998. 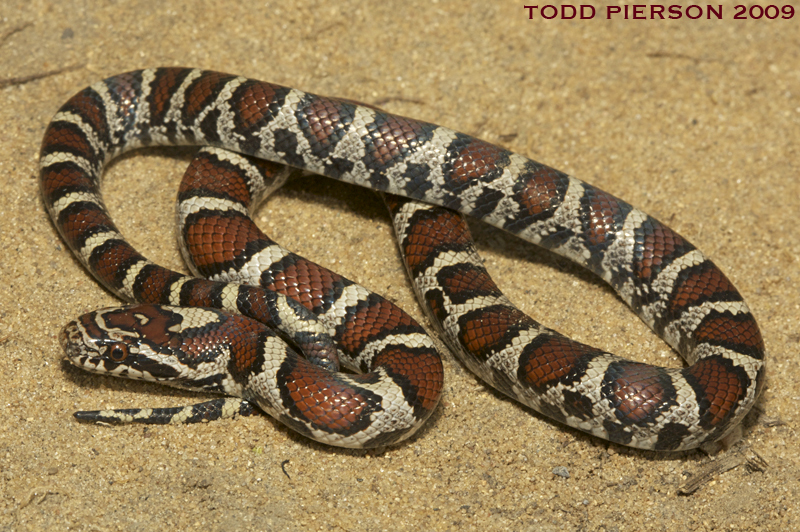 New records of the milk snake, Lampropeltis triangulum, from the Coastal Plain of the Delmarva Peninsula, with comments on the status of L. t. temporalis. 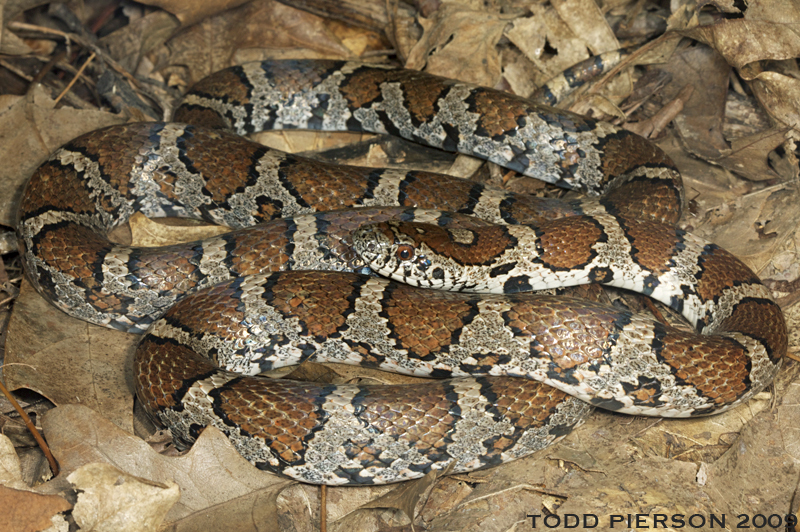 The Maryland Naturalist 42:5-14. Hyatt, D.M. 1989. 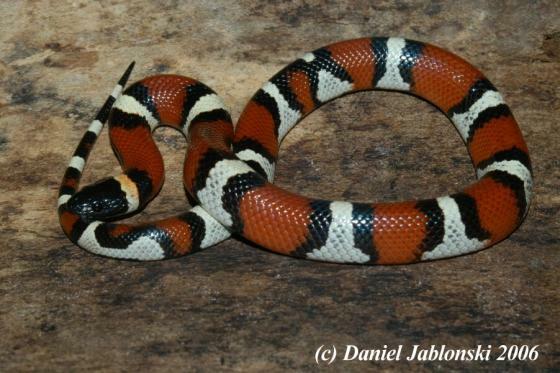 Systematics and Natural History of the American Milk Snake, Lampropeltis triangulum (Book Review). 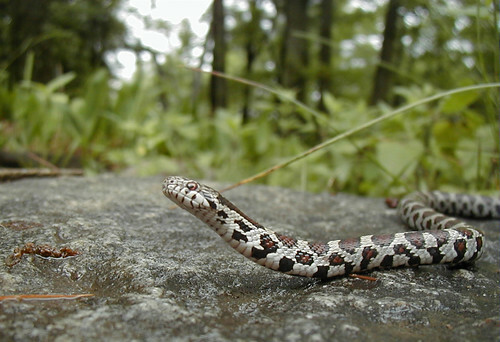 Tucson Herpetological Society Newsletter 2(4):34-35. 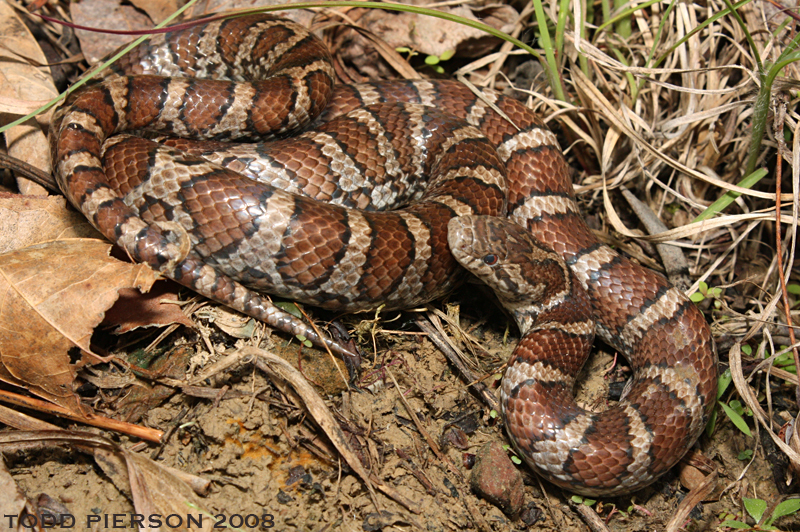 Kreutz, R. 2005. 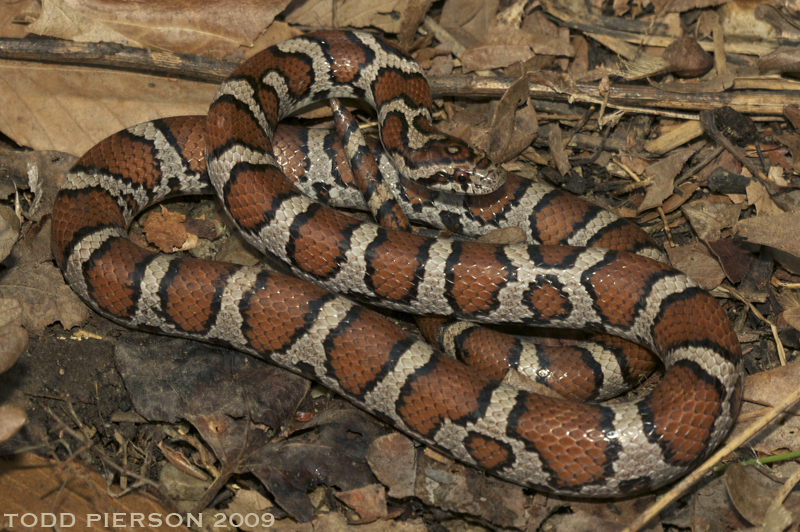 Farb- und Zeichnungsstandard der Kornnatter (Panterhophis guttatus). Kirschner und Seufer Verlag, Keltern-Weiler, 158 pp. Lowe, C.H. 1989. 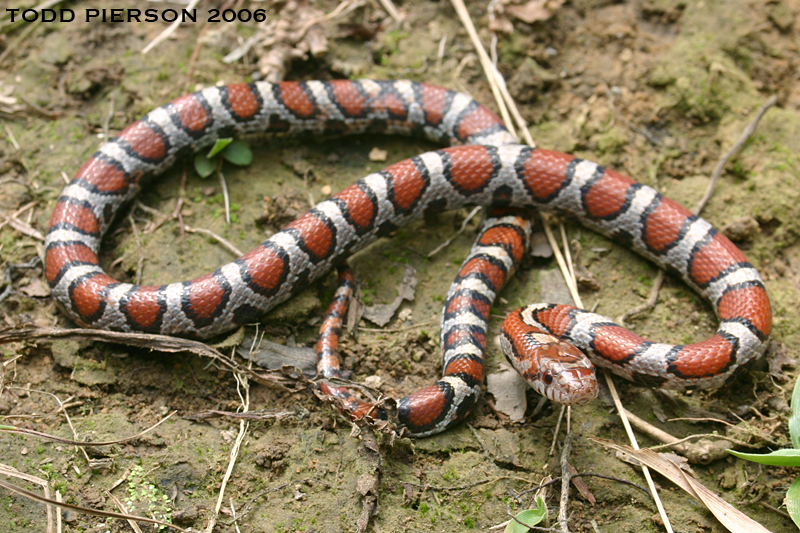 Arizona's rarest snake - Lampropeltis triangulum, the milksnake. 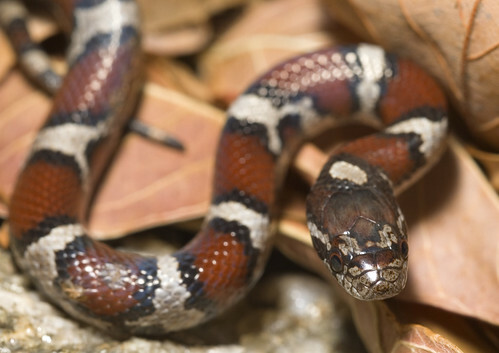 Tucson Herpetological Society Newsletter 2(1):5.